KYIV, Ukraine—Crossing the Himalayas on foot has always been dangerous. 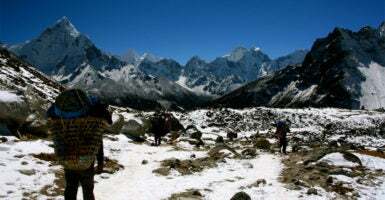 There are many hardships to endure, such as altitude sickness, extreme cold, avalanches, hidden glacial crevasses, and exposed trails that criss-cross sheer mountain faces. And now there’s the prospect of armed Chinese drones orbiting overhead to consider, too. Last year, China unveiled its new, armed GJ-2 unmanned aerial vehicle, which is designed for high-altitude airstrike and reconnaissance missions. To show off the new drone’s performance, the Chinese military reportedly conducted a test flight over 29,029-foot-high Mt. Everest, the world’s highest peak. Both China’s western Xinjiang and Tibet autonomous regions share Himalayan borders with India. Experts say the GJ-2 drone will be used to help Chinese military units patrol the country’s Himalayan frontier. “The GJ-2 is a capable drone that notably can carry weapons. It could be used to augment border patrols across difficult terrain and could also be used to launch missile strikes against people traveling across the border whom the Chinese consider threats,” Timothy Heath, senior international defense research analyst at RAND Corp., told The Daily Signal. Designed and built by the Aviation Industry Corp. of China, the GJ-2 can carry 12 air-to-surface missiles. The drone’s long-endurance turboprop engine reportedly gives it a top cruise speed of 230 miles per hour at an altitude of about 30,000 feet, with 20 hours of flight time. “Chinese authorities are using drones as well as other advancing technologies to enhance its capacity in patrolling and controlling its borders, including in its far West,” said Steve Tsang, director of SOAS University of London’s China Institute. Notably, the new drone’s unveiling comes amid an ongoing security crackdown against ethnic minorities within China’s western regions. According to news reports and the U.S. State Department, China has established a network of “political re-education” camps in its Xinjiang autonomous region, targeting more than 1 million Uighur Muslims and other Muslim minorities for internment. For its part, Beijing claims the camps are voluntary. 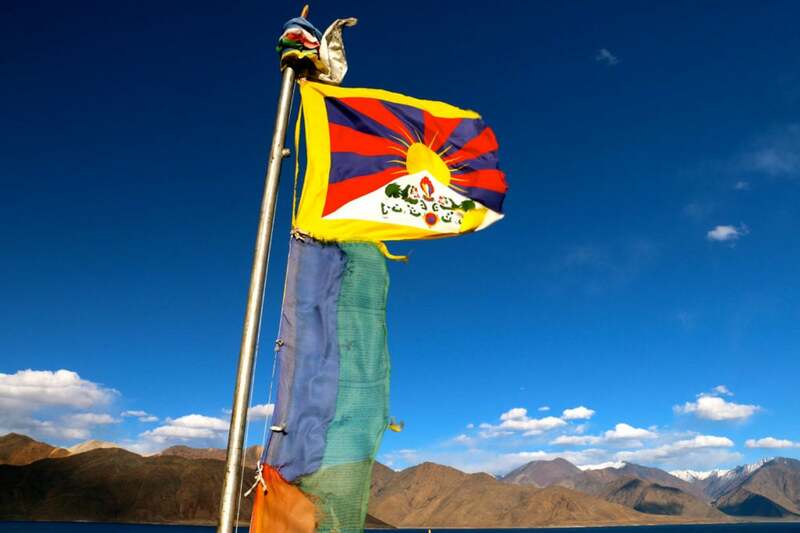 A Tibetan flag near the India-China border in the Himalayas. “China’s interest in increasing surveillance on those borders mainly stems from the desire to control people authorities regard as separatists or terrorists. 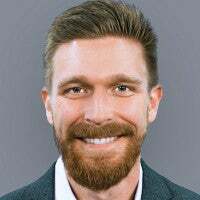 Some of these individuals operate across the borders, and the Chinese seek to monitor and catch them,” said Heath, the RAND Corp. expert. For decades, Beijing has maintained strict military control over its Himalayan frontier, ostensibly out of fear of separatist movements infiltrating from abroad into the Tibet and Xinjiang autonomous regions. “The tightening of border control is inherently two directional, controlling the outflow as well as inflow of people, particularly those deemed by the authorities as problematic or undesirables,” Tsang said. China invaded Tibet in 1950. During the 1960s and 1970s, the CIA trained and armed a Tibetan resistance army called the Chushi-Gangdruk, which waged a guerilla campaign against China’s occupation. These Tibetan resistance fighters operated from remote Himalayan bases in Nepal and India. They also sometimes parachuted into Tibet from aircraft operated by the CIA. The CIA supported the Chushi-Gangdruk with airdropped weapons, ammunition, and supplies until 1972, when President Richard Nixon normalized relations with China and U.S. support for the Tibetan resistance was cut off. 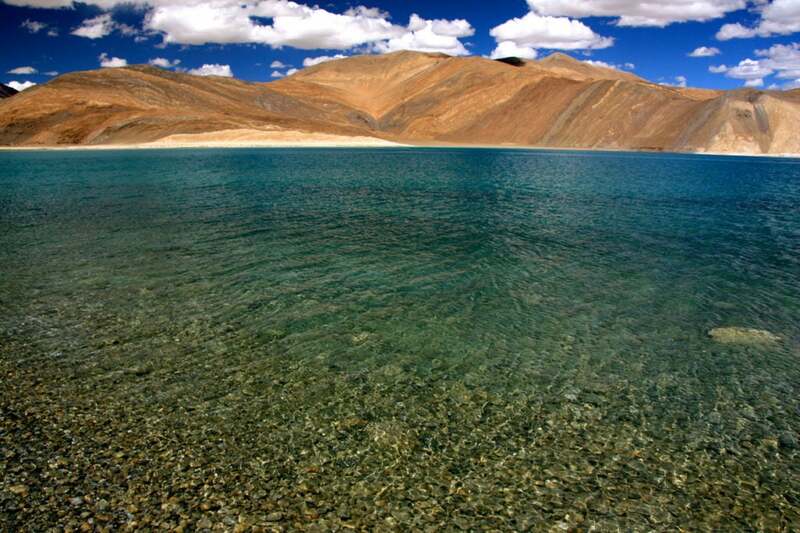 Pangong Tso, a high-altitude lake on India and China’s Himalayan border. The Chushi-Gangdruk, for its part, continued to operate without U.S. backing from mountain redoubts in Nepal’s remote Mustang region. At the Dalai Lama’s behest, the Tibetan irregulars laid down their arms in 1974. Today, there is no longer an armed, organized Tibetan resistance movement. Yet, Chinese military patrols still monitor the country’s Himalayan frontier. Beijing closed much of China’s Himalayan border after a wave of protests swept across the Tibet autonomous region in the run-up to the 2008 Beijing Olympics, underscoring latent ethnic tensions. After the 2008 protests, Chinese authorities cracked down in Tibet. Surveillance increased, as did reports of arbitrary arrest and torture. Pictures of the Dalai Lama and the Tibetan flag were outlawed, new travel restrictions were put in place, and the Himalayan borders with India and Nepal were sealed, stemming the flow of refugees out of Tibet. Up until 2009, every year about 2,000 to 3,000 Tibetan refugees fled China across the Himalayas. By 2015, however, that number dropped to around 200 annually—a 93 percent decrease. The border crackdown also cut off ancient nomadic trade routes across the Himalayas that existed since the Silk Road era, consequently choking the economies of many mountain communities in Nepal. Beijing has used technology to skirt some of the logistical and operational challenges its military faces in the Himalayas’ rugged terrain and harsh climate. 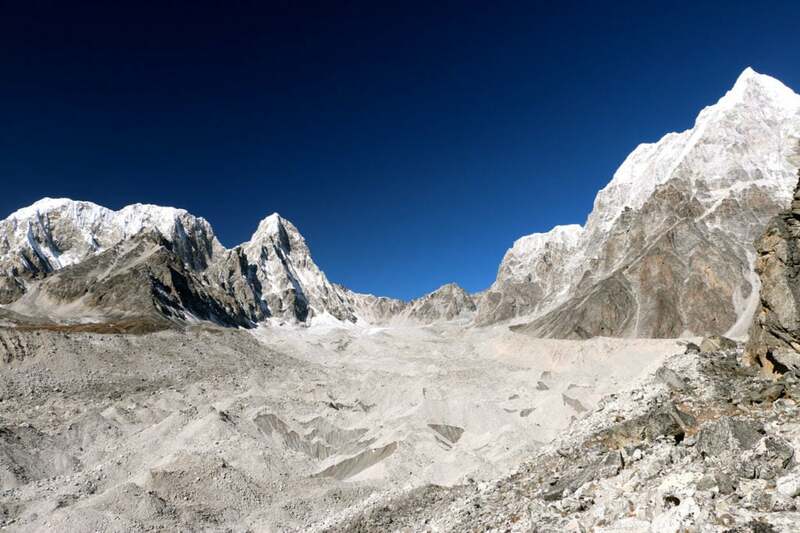 For one, security cameras have reportedly been built at some of the most trafficked mountain passes, such as the Nangpa La, connecting Tibet to Nepal. Now, the GJ-2 drone gives Beijing another tool to keep its Himalayan frontier sealed. “With advancements in technology it is logical that the Chinese would seek to make the most of what they can offer, particularly in terrains where the deployment of conventional forces faces challenges,” Tsang told The Daily Signal. Recently, joint operations between Chinese military units in the Tibet and Xinjiang autonomous regions have increased. However, some experts downplay the change, as well as the GJ-2 rollout. China’s military is reorganizing, they say, and has not necessarily adopted a more aggressive border security policy. “More likely, these developments reflect broader trends in the PLA and PAP toward joint training, as well as the more plentiful availability of resources,” Heath said, referring to China’s military and national police. 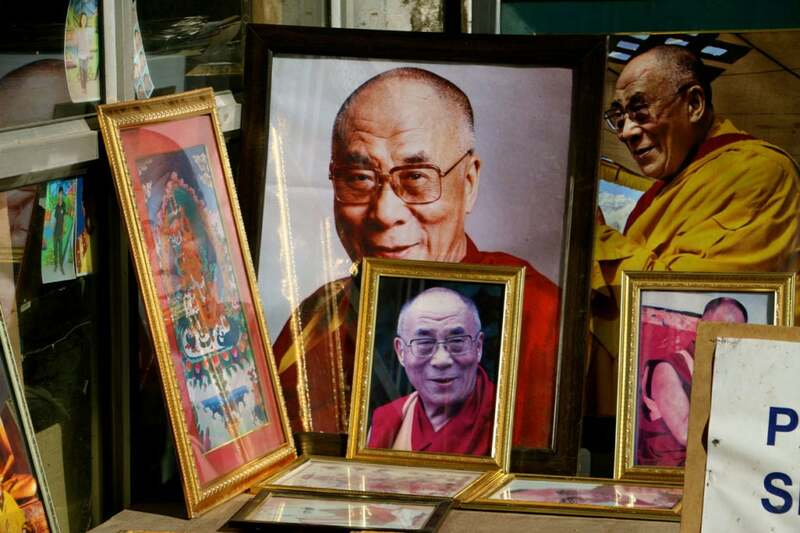 Pictures of the Dalai Lama, the spiritual leader of Tibetan Buddhism, at a shop in India’s Himalayan city of Leh. Smith said Beijing may worry about the long-term threat of Uighur militants returning to Xinjiang from foreign warzones. However, “there’s not much evidence of that happening in any significant numbers,” he added. 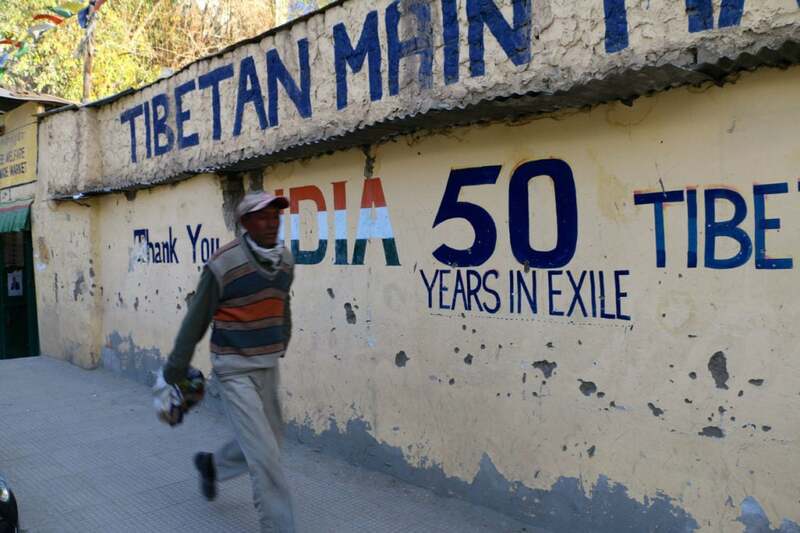 With Beijing hosting the 2022 Winter Olympics, some experts—especially within the Tibetan refugee community—speculate that there could be a repeat of the protests that swept across Tibet in advance of the 2008 Olympics. Along that line of thinking, Tsang said the ongoing crackdown in Xinjiang could ultimately backfire on Beijing by igniting a disruptive pro-independence movement that did not previously exist. “As far as Xinjiang is concerned, its existing policy of tightening control will cause reactions from some of the local indigenous population, who may choose to respond to repression by the dominant Han by advocating self-determination,” Tsang said. Amid the backdrop of an ongoing trade dispute, Washington has taken action against China’s repressive policies in Tibet and Xinjiang. On Dec. 19, President Donald Trump signed the Reciprocal Access to Tibet Act, requiring the State Department to deny or revoke U.S. visas for Chinese officials who restrict access to Tibet for American citizens. Beijing has since pledged to ease travel restrictions into Tibet. In January, Sens. Marco Rubio, R-Fla., and Bob Menendez, D-N.J., co-sponsored the Uyghur Human Rights Policy Act, which calls on Beijing to end the“arbitrary detention, torture, and harassment” of its Muslim minorities. Aggravated by trade tensions with the U.S., China is also in the midst of an ongoing slowdown in economic growth. For his part, in December Chinese President Xi Jinping touted the Chinese Communist Party’s indispensability to the country’s future. “The practices of reform and opening up in the past 40 years have shown us that the Chinese Communist Party leadership is the fundamental character of socialism with Chinese characteristics … east, west, south, north, and the middle, the party leads everything,” Xi said during a speech in Beijing, according to Chinese agencies. On the path to the Nangpa La, a high-altitude pass connecting China’s Tibet Autonomous Region and Nepal. China’s economic slowdown has had less effect in Tibet and Xinjiang than in other regions. In fact, the Tibet Autonomous Region has maintained one of the highest gross domestic product growth rates of any Chinese region for about five years, Chinese agencies report. When it comes to Tibet and Xinjiang, most experts agree that backlash against repressive police state policies, rather than frustration with economic malaise, poses the greatest threat to Beijing’s authority. “The so-called separatism in Tibet and Xinjiang is largely a response to Chinese repression,” Tsang said. Rapid economic growth in China’s western regions has, in some respects, actually undercut Beijing’s authority among indigenous ethnic groups, says RAND Corp.’s Heath. “The rapid development of the western provinces has one—probably not accidental—effect of marginalizing the minority peoples by overwhelming them with infrastructure, shiny buildings, roads, rails, and influxes of Han Chinese,” Heath said.